The Argus Group today [Apr 30] announces its sponsorship of a three-day Jump 2b Fit campaign, organised by Bermuda Heart Foundation, called the Jump Tour, that features seven world-famous jumpers. 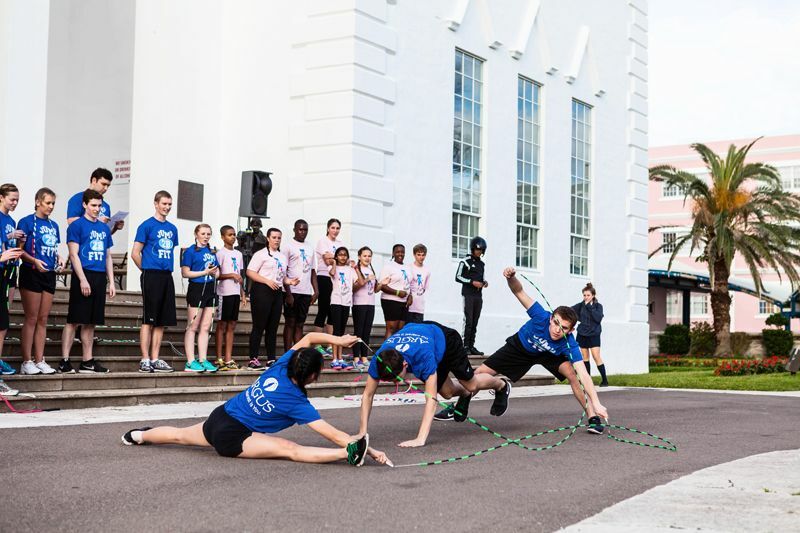 With Argus’ sponsorship, this year’s Jump 2b Fit campaign has expanded beyond Bermuda schools to include government and business participation. The Jump Tour is a series of workshops taking place at schools, businesses and government units from April 30 through May 5. During the workshops, participants will learn about correct rope measurement, jump rope techniques, games and tricks as well as how to incorporate jump roping into one’s exercise routine. Businesses or groups interested in participating in the Jump Tour may contact Sionna Barton by phone at 232- 2673 or by email at jump2bfitbda@gmail.com to schedule a free workshop session on Tuesday, May 5. According to the Bermuda Heart Foundation, performing 30 minutes of moderate exercise every day, even in 10 minute increments, can help to reduce the risk of heart disease, diabetes, stroke and high blood pressure. When properly executed, jump roping is lower impact than jogging or running. 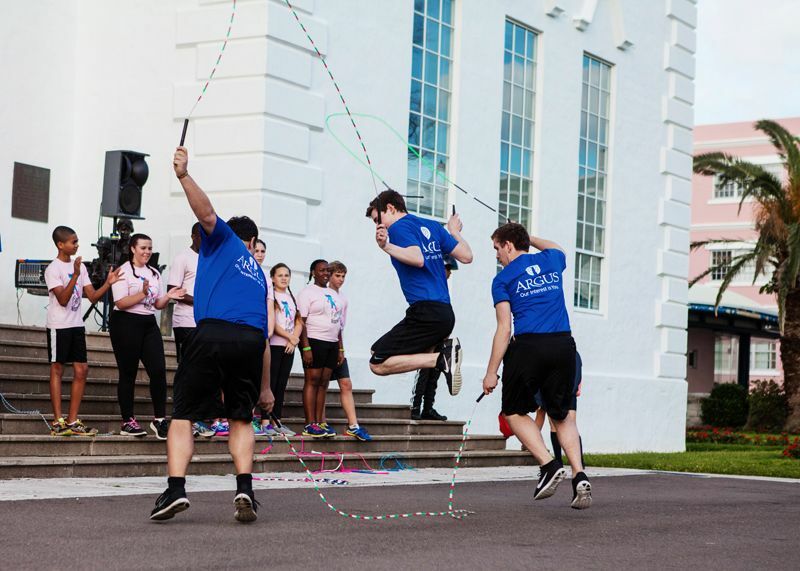 A competitive youth jump roping team known as the Bermy Bouncers was borne out of the Jump 2b Fit campaign. 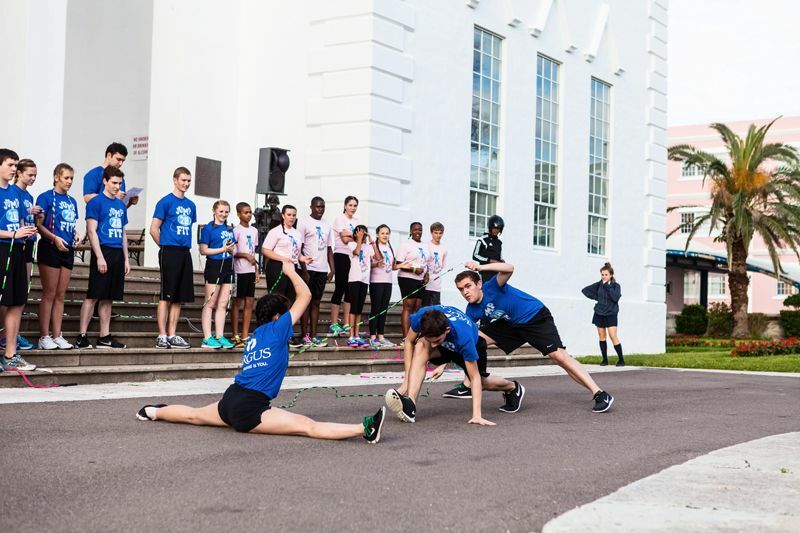 The Bermy Bouncers is a diverse, co-ed team of 12 children aged eight to 16 years who compete internationally and generally assist the Jump 2b Fit campaign in their mission to teach and spread awareness of the health benefits linked to jump roping. On May 1, families of the Bermy Bouncers are hosting a Happy Hour Golf Charity Tournament & Party at Belmont Hills Golf Club to raise money for the Bermy Bouncers. To register please contact Sionna Barton by email at jump2bfitbda@gmail.com. Jump 2b Fit offers workshops throughout the year and interested parties can contact Sionna Barton for more information. All workshops include jump ropes, instruction, education and practice. The Jump 2b Fit campaign was first initiated as a youth outreach programme to battle obesity. Argus is the title sponsor of Jump 2b Fit and has helped the programme grow over the past several years. For more information about Jump 2b Fit, visit Facebook.